Just after the seven years of tribulation are completed, Christ will come to the earth, to a place called Armageddon where all the armies of the worlds will come together for war. Here is how the book of Revelation describes what will happen. And I saw heaven opened; and behold, a white horse, and He who sat upon it is called Faithful and True; and in righteousness He judges and wages war. 12 And His eyes are a flame of fire, and upon His head are many diadems; and He has a name written upon Him which no one knows except Himself. 13 And He is clothed with a robe dipped in blood; and His name is called The Word of God. 14 And the armies which are in heaven, clothed in fine linen, white and clean, were following Him on white horses. 19 And I saw the beast and the kings of the earth and their armies, assembled to make war against Him who sat upon the horse, and against His army. 20 And the beast was seized, and with him the false prophet who performed the signs in his presence, by which he deceived those who had received the mark of the beast and those who worshiped his image; these two were thrown alive into the lake of fire which burns with brimstone. 21 And the rest were killed with the sword which came from the mouth of Him who sat upon the horse, and all the birds were filled with their flesh. This term “killed with the sword” doesn’t mean that they were all killed with a literal sword; it just means that they will be killed. Zechariah 14:1-15 gives us a more literal description of what will take place on that day. Here are just a few verses (vv. 12-15) describing the gruesome plague that the Lord brings on the people and even on the animals. Now this will be the plague with which the Lord will strike all the peoples who have gone to war against Jerusalem; their flesh will rot while they stand on their feet, and their eyes will rot in their sockets, and their tongue will rot in their mouth. 13 And it will come about in that day that a great panic from the Lord will fall on them; and they will seize one another’s hand, and the hand of one will be lifted against the hand of another. 14 And Judah also will fight at Jerusalem; and the wealth of all the surrounding nations will be gathered, gold and silver and garments in great abundance. 15 So also like this plague, will be the plague on the horse, the mule, the camel, the donkey, and all the cattle that will be in those camps. This particular judgment is mentioned in Matthew’s gospel (Matt. 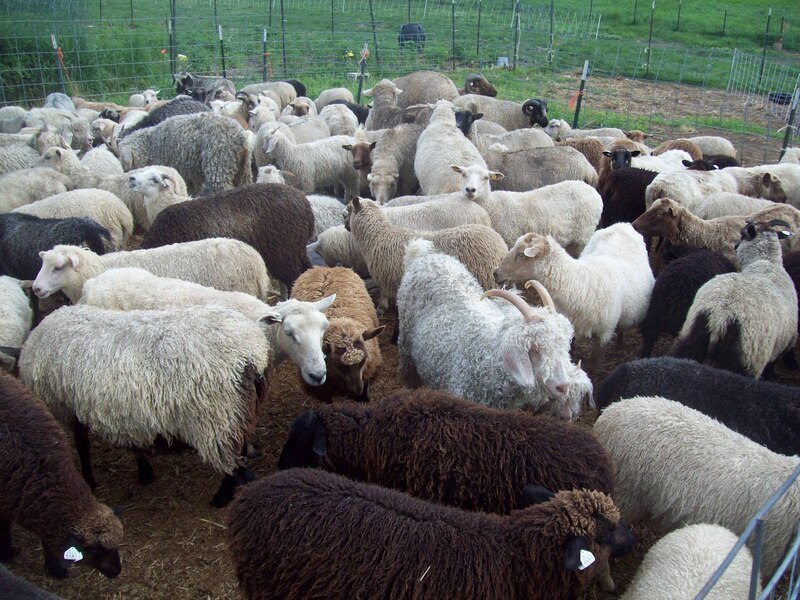 25:31-46) and is described as the separation of the sheep and the goats. The sheep would be those people who had evidenced their faith in Him by the way they treated a group He called “these brothers of mine.”… I believe that “these brothers” refers to the 144,000 Jewish evangelists who will minister during the Tribulation. Each one of these preachers will have a price on his head, and anyone who helps one will do so at the risk of his own life. Jesus calls these benevolent helpers “the righteous” and “sheep,” and invites them into the Kingdom of God as mortal beings. Along with the 144,000 Jewish evangelists, these will be the only mortal (unglorified) persons to live on earth during the thousand-year Kingdom period. The “goats” are those kings, captains, mighty men, and slaves who opposed the returning Christ and persecuted His evangelists during the Tribulation. They are now judged and sentenced to eternal fire and then slain with the sword of the Lord. For the next thousand years they suffer in a place called “torments” (Luke 16:19-31). Then, at the time of the Great White Throne Judgment at the end of the Millennium, their bodies are resurrected and they are cast into the Lake of Fire. After these events, that is, after all the unsaved people on the earth are judged and killed, and after the earth has been renewed and made ready for the new kingdom, next and finally, God gets rid of Satan, that awful devil. But surprisingly, He doesn’t throw him into the Lake of Fire with the antichrist and false prophet; God instead employs an angel to throw him into a bottomless pit (with the demons, Rev. 9:1; 2 Pet. 2:4). There he will stay until the thousand years are finished. And I saw an angel coming down from heaven, having the key of the abyss and a great chain in his hand. 2 And he laid hold of the dragon, the serpent of old, who is the devil and Satan, and bound him for a thousand years, 3 and threw him into the abyss, and shut it and sealed it over him, so that he should not deceive the nations any longer, until the thousand years were completed; after these things he must be released for a short time. This entry was posted in Antichrist, Bible Passages on Prophecy, Kingdom of God, Matthew 25:31-46, Prophecy Topics, Second Coming and tagged Hal Lindsey, judgment, Revelation 19:11-21, sheep and goats judgment, tribulation, Zachariah 1412-15. Bookmark the permalink.